This attack does 20 damage to each of your opponent's Benched Pokemon. 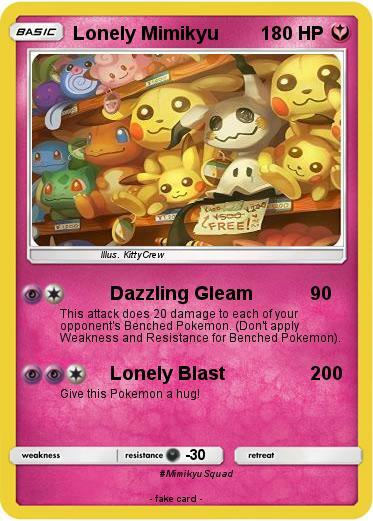 (Don't apply Weakness and Resistance for Benched Pokemon). Give this Pokemon a hug!